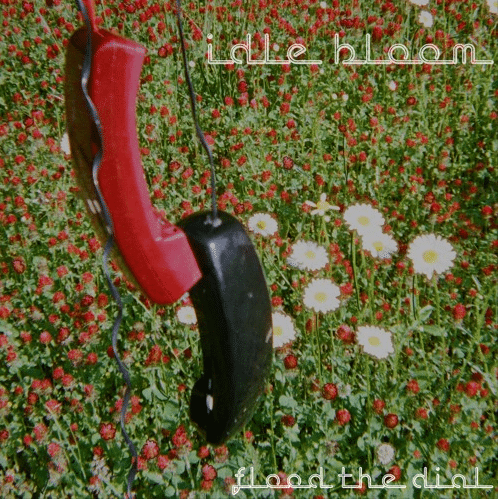 Based out of Nashville, TN, Idle Bloom is an indie-rock quartet whose name has been popping up since their first release, Little Deaths in 2017. Since then, the group has covered ground from Tennessee to Chicago, and now they’re taking the larger NY area with their most recent tour. On top of touring more seriously, the band also sounds more matured in their most recent release, Flood the Dial. They build on their prowess for creating uniquely structured songs and excel in experimenting with so many facets of how a guitar can function in a song. Big power chords and traditional rock-guitar stylings still pop up in the album, but not nearly as much as the arpeggiated chordal interplay between two jangly guitars that breathe an air of dream-pop into each track. This experimentation mixed with familiarity pays off in a big way for the band, as they create a musically consistent album that doesn’t lose its luster with each passing song. Olivia Scibelli’s melodic style of crooning places her voice in the spotlight for much of the album, with hers and Gavin Schriver’s guitars taking over in the spaces between vocal lines. These voices float over top of a strong foundation created by Katie Banyay’s steady bass, and a rocket drummer, Weston Sparks, who’s use and placement of fills adds density to the mix. The group successfully takes cues from noisier rock groups like Dinosaur Jr. and Pixies, and meshes them with the more pop-sensible songs from groups like Tigers Jaw and Crying. 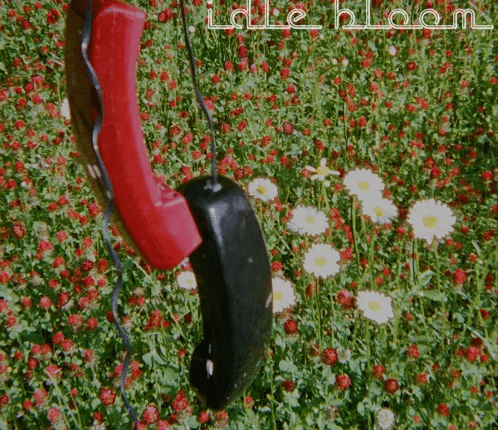 Idle Bloom does a really good job of not only maintaining a consistently unique sound through the album, but also build the energy throughout. The first track, “Wasted Time”, offers some jangly guitar interplay mixed in stereo to cover space as it immediately becomes clear that the group is adept at writing more mellowed out songs without sacrificing variety. Sparks keeps a heavier pulse with huge cymbal rides and a specifically thick sounding set of toms. While maintaining its teeth, the song has a nice flow and hook. It doesn’t amp up the energy to 11, leaving room for later on. The build continues through the next few tracks, giving more in terms of stacked harmonies and counterpoint guitars. The bass stays in the pocket and supplements the kick drum really well. The third song, “Sleeping In” even introduces a synth that carries over into more songs, and acts as a good transitional voice between songs. It’s hard not to notice how well Scibellie’s lyrics come across not only in flow but also in content. “Sleeping In” emotes a feeling of depression, steeped in the musings of a millennial coming to terms with the current state of the world and opting to keep trying as opposed to sleeping forever. The following track “Exposure” reflects on the heavier topic of sexual abuse/assault and cover-ups- commentary on an age old issue brought to light in modern times. The song is juxtaposed with the bubblier backing track, giving the narrator an edge of empowerment in their situation despite the seriousness of the topic. In the ninth track, “Empath”, Banyay and Sparks link up to create a punchy, exciting rhythm part that the guitars are able to accentuate with chucked funk chords and short harmonized lead lines. The melody, namely guitars and vocals, do a good job here of only coming forward when needed. The Steely Dan styled guitar duo on this and the sixth song, “Rewired”, came as pleasant surprises and showcase the versatility of the band. It felt like the band took the kind of American Football/Midwest emo guitar voicings and jazzed them up. This speaks to their ability to color thematically similar songs in a way that differentiates them and adds upon each of the prior tracks. The final song, “Contact”, acts as a great closer and culminates with just about every element that made the album such a fun listen. The post-rock experimentation of guitar tones and their function, the harmonized vocals, and a really punchy drum line all trade off the center stage. This is the most dynamic song on the album, and likely the most melodically colorful. From top to bottom, Flood the Dial is an exciting listen. 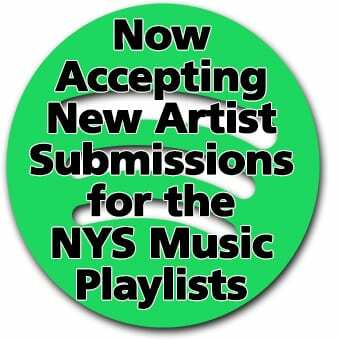 The group will be going on tour this fall, making stops at a few NYS locations. Check them out in a city near you, and be sure to stream the album here!